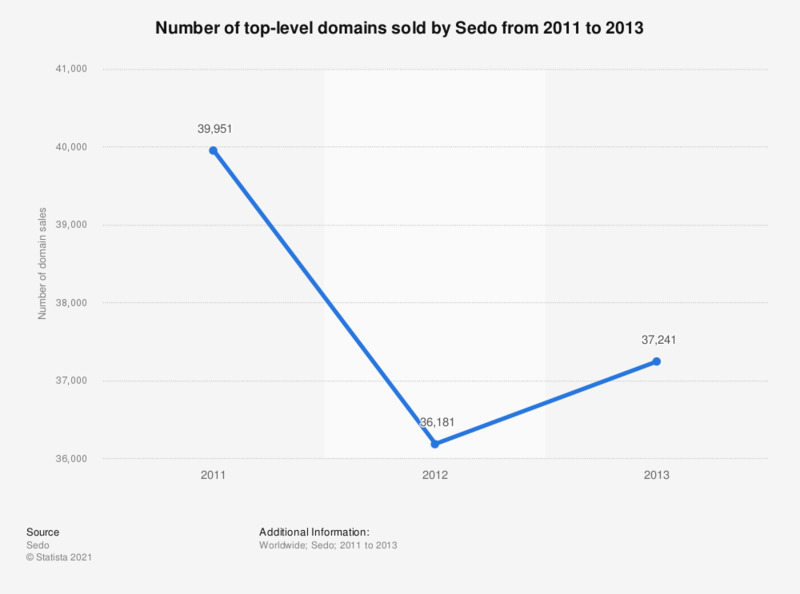 This statistic presents the annual volume of top-level domain sales through domain trading platform Sedo from 2011 to 2013. In 2013, 37,241 top-level domains were sold via the platform. The data are limited to transactions on the trading platform Sedo.